The Fender Super Champ X2 is a 15 watt guitar amplifier combo combining dual-channel tube amp sound with versatile amp voicing, a wide selec.. 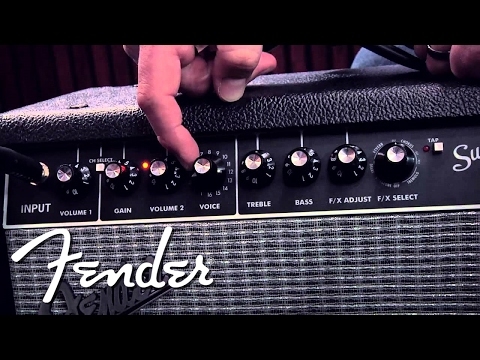 The Fender Super Champ X2 is a 15 watt guitar amplifier combo combining dual-channel tube amp sound with versatile amp voicing, a wide selection of digital effects. Fusing the technology behind Fender's modern Solid-State and classic Tube amps, the Super Champ X2 is a hybrid amplifier that offers the best of both worlds. A versatile performer in both stage and studio, with a high dynamic range for great signal consistency and tone. Channel 1 is powered by a set of 2 x 6V6 tubes and 1 x 12AX7 preamp tube delivering faithful tube tone that really warms up nicely once you crank up the volume. Channel 2 offers access to an impressive selection of digital amp models, each channel with their own dedicated volume control. 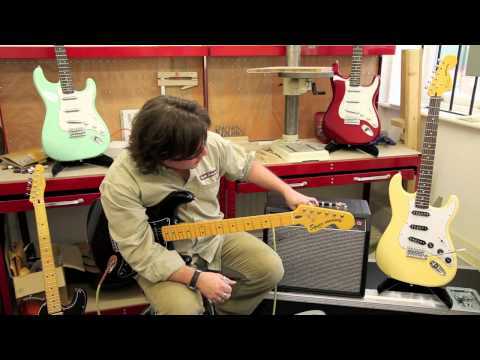 Channel two features 16 different clean and overdriven voicings that approximate most of the favourites from Fender's back catalogue, plus a few exciting extras. Dial in everything from classic thrashing British metal to delightful 70's s high gain leads in an instant. A bank of 16 effects gives the Super Champ that extra versatility for simple home set-ups. No need to plug in a full bank of pedalboards and effects - simply select from the front panel without getting bogged down in endless parameter tweaking. With its easy computer connectivity, you can custom tailor your amp's voicing and effects to your personal taste via USB. Utilising the Fender FUSE recording software, you can record your musical ideas quickly without in-depth knowledge of DAWs or editing software. Also, manage your bank of digital effects and amp voices for a fully customised, tailored signature sound. FUSE allows you to control everything from power amp sag and bias - get stuck into your tone like never before! The sleek brushed aluminium and black tolex front panel sports a vintage 1960s 'Blackface' era aesthetic, with slightly downsized control knobs. Make your rehearsal and recording sessions come alive with the unlimited tones of the Fender SuperChamp X2.